Current photo of the Smokestack. Photo by Connie Cherba. Smokestack building in 2013. Photo by Connie Cherba. Smokestack Interior. Photo by Deb Otto. 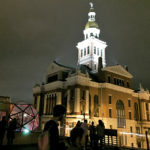 View of the Courthouse from Smokestack roof patio with geodesic dome. Photo by Deb Otto. 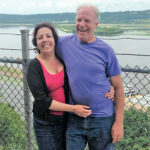 Susan Price and Scott Cornwell at Eagle Point Park. Photo by Jessica Feldman. 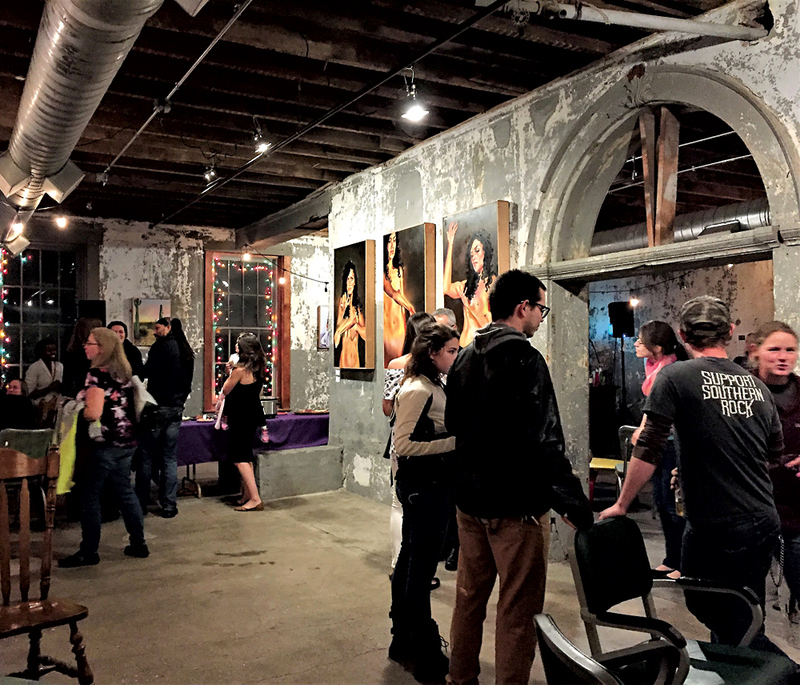 The Smokestack, one of Dubuque’s trendy new nightspots, offering a restaurant, lounge, and venue for the arts, culture, and entertainment, is the most recent tenant to occupy a historic building at the southwest corner of 7th and White Streets. We’ll get back to the Smokestack, but let’s start at the beginning – back in the early 19th century when Dubuque was a brand new town filled with an assortment of rowdy lead miners. Dubuque’s early historians wrote about the plot of land at 7th and White. One of the best accounts comes from Eliphalet Price, who arrived soon after the area was opened to settlers following the end of the Black Hawk War in 1833. In his book Dubuque in Early Times, Price described the corner lot at 7th and White as the location of the June 20, 1834, hanging of Patrick O’Connor, a one-legged, lead miner who murdered his partner George O’Keaf. Frontier justice found O’Connor guilty and sentenced him to hang. Price wrote, “O’Conner [sic] being now seated upon the coffin, the column commenced moving forward, to quarter minute taps of the drum, and arrived about twelve o’clock at the gallows, which was erected on the top of a mound in the vicinity of the present Court House.” After Dr. Andros pronounced O’Connor dead, O’Connor’s body was cut down, lowered into a coffin along with his wooden leg and buried in the mound. Fast forward to 1852 when the lot at 7th and White was excavated for Joseph Gehrig’s new hotel, originally called the Adams House after tenant proprietor Adams. Imagine the shock as workmen uncovered O’Connor’s body and wooden leg. But that’s not all they found. They also discovered Native American artifacts that confirmed the hanging mound was actually an ancient Indian Mound. O’Connor’s bones were exhumed and reinterred in the city burial grounds. In 1867, his remains were moved to Linwood Cemetery where they rest today. Construction of the Adams House was completed in 1854, joining several hotels on White St. between 4th and 7th Streets, a location popular with travelers due to the proximity of the Mississippi River landing at the foot of 4th St. After just a year, Adams quit the hotel business which he had operated to appeal to “a high class of trade,” charging a pricey daily rate of $3.50 – $5.00. Gehrig took over the hotel from Adams, renaming it the Jefferson House. He lowered daily rates to $1.00 plus $.25 for meals and soon the hotel became a popular stopping place for merchants and farmers. Joseph Gehrig died in 1885, and his second son Henry took over, operating the Jefferson House for some twenty-three years. Others ran the hotel for a few years after Henry retired, but times were changing with the advent of the automobile. The Jefferson House closed for good around 1918. In 1920, the Sanitary Milk Co., purchased the property at 7th and White, and began a major remodeling project. They demolished some of the outbuildings, and in 1930, the nearby stable was torn down to make way for a one-story building with a 60-foot smokestack to vent boilers required for pasteurization. Over the next two decades, the Sanitary Milk Co., also called the Sanitary Dairy, turned raw milk brought in by local farmers into pasteurized milk, cream, thirty flavors of ice cream, and a popular chocolate drink called “400” which sold for a nickel and came in half-pint glass bottles. Sanitary also sold Very-Fine dairy products and Bireley’s Orangeade, a pasteurized fruit drink popular during the 1930s. The Sanitary Milk Co. declared bankruptcy in 1942 and closed the dairy at 7th and White. On November 15, 1943, local real estate tycoon Joseph Rhomberg purchased the building at public auction and re-sold it to the Farley & Loetscher Co.
Farley & Loetscher already owned property across White St. and wanted to demolish the old dairy to make a parking lot, but the cost was prohibitive. Instead, over the next thirty-five years, they rented the building to several businesses – Dry Clean Aggregate, Micro Machines, McCray’s Quality Chicks, and Burke Alumatic. During this period, the building’s top two floors, the cupola, and several outbuildings were demolished. In 1962, Farley & Loetscher folded and sold the property to Robert and Eugenia Loetscher who sold it to Bill Feye of Feye Brothers Automotive in 1978. 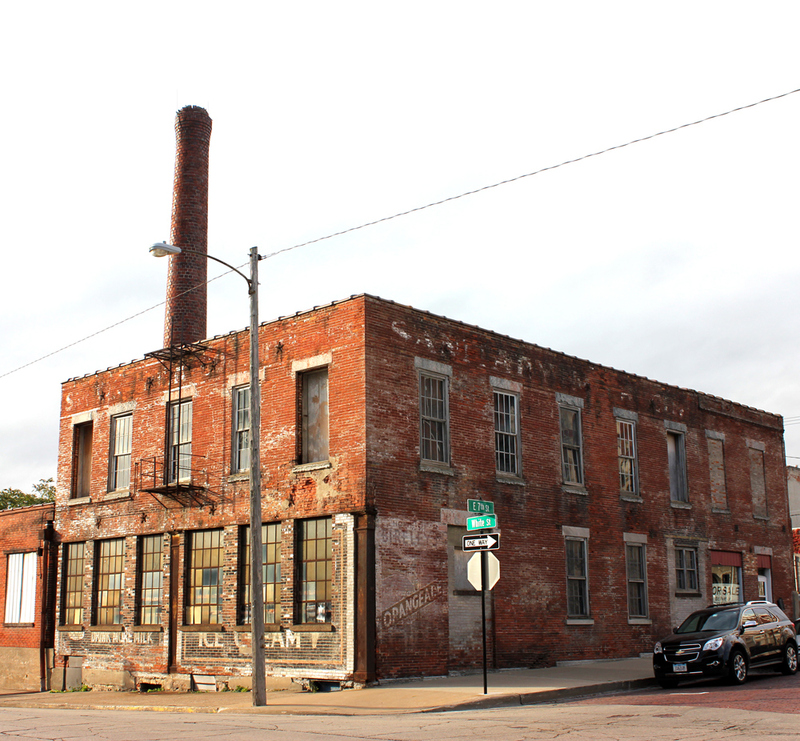 Feye leased the property to several tenants before finally using the deteriorating building for storing auto parts. When Feye decided to sell the property, he had several offers which fell through. Then, Dubuque County explored tearing down the historic building to make room for office space. In 2012, Dubuque’s Historic Preservation Commission granted a request to declare the building “non-historic” and issued a demolition permit. Fortunately, the County didn’t act on the permit, and in 2014, Feye found buyers for the property – buyers who wanted to preserve the building, not destroy it. Susan Price and Scott Cornwell, from Brooklyn, NY, were visiting the Midwest in 2013. They stopped in Dubuque and discovered the abandoned building at 7th and White. 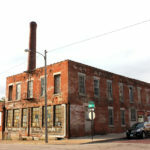 Five months later, the couple left the East Coast, moved to Dubuque, and purchased the building, renaming it the Smokestack. 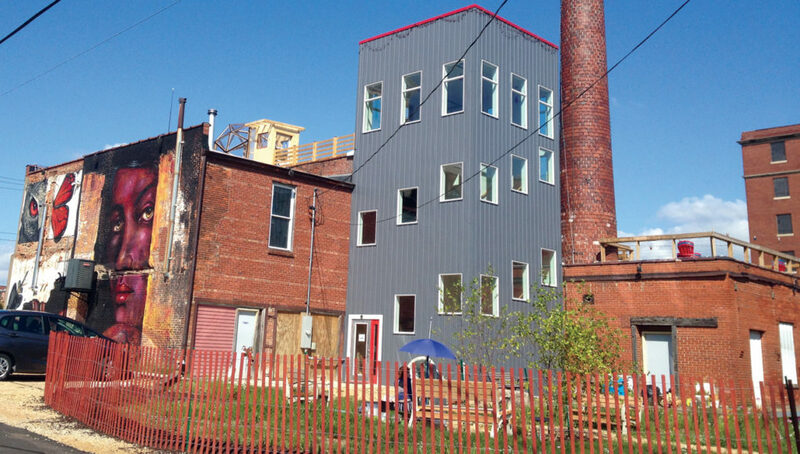 The Smokestack opened in July 2015 after a major renovation and immediately became a popular venue for performance and visual arts. 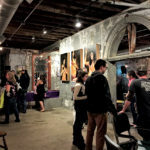 Soon after opening, the Smokestack began offering an eclectic menu including vegetarian and gluten-free options, cocktails, and craft beers on tap. Susan and Scott have continued to make additions to the Smokestack. 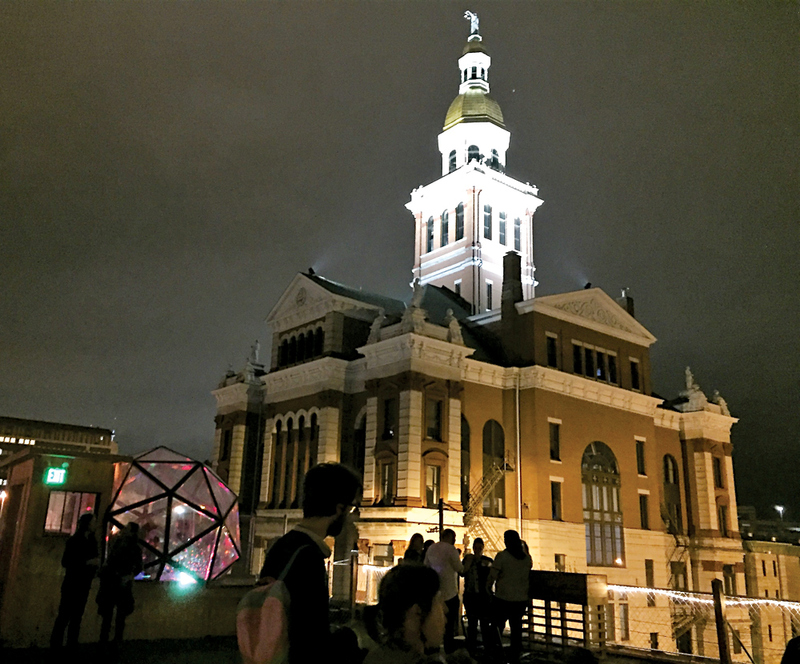 Recent improvements include two, accessible rooftop patios with spectacular city views, a lighted geodesic dome, a tower lounge, and a pocket park on the alley side of the building. “We have been well-received and are fortunate to have wonderful people around us in Dubuque,” Susan said. That sentiment goes both ways – Dubuque is fortunate Susan and Scott stepped in and preserved one of the city’s most historic properties! 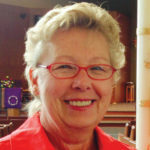 Connie Cherba was born and raised in Dubuque. She enjoys writing about history and genealogy and participating in the occasional archeological dig.